I bought this for about £57 over fifty years ago. I absolutely love that, and it must be brilliant knowing everything about its history. That’s a fantastic example, Brian, and how amazing to have owned it for so long. The 806 is without doubt one of my all-time favourite watches. Wow that is lovely .... How much is £57 in todays money? 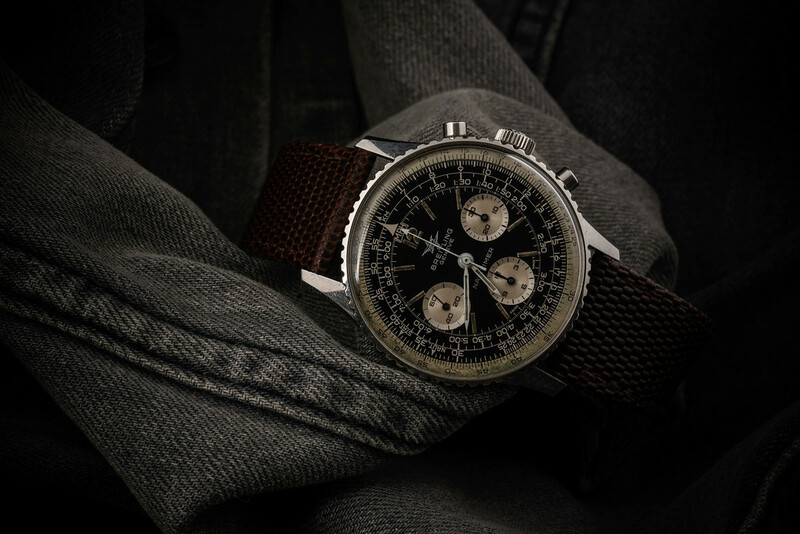 Lovely thing, the design of the 806 is just absolutely spot on, even that style of Breitling logo looks great. 50+ years is a heck of a long time to own a watch, it's now part of the family ! In all truth Tony I gave it to my son about ten years ago. I had it serviced about 1990 and he recently had Breitling give it a once over about a year ago. It is literally as new. £57? about £1100 by my reckoning. In fact I bought it from a mail order catalogue and paid about 15/- a month. P.S. Any advice on how I could pinch it back....short of breaking his arm..............Oh well, fractures heal. 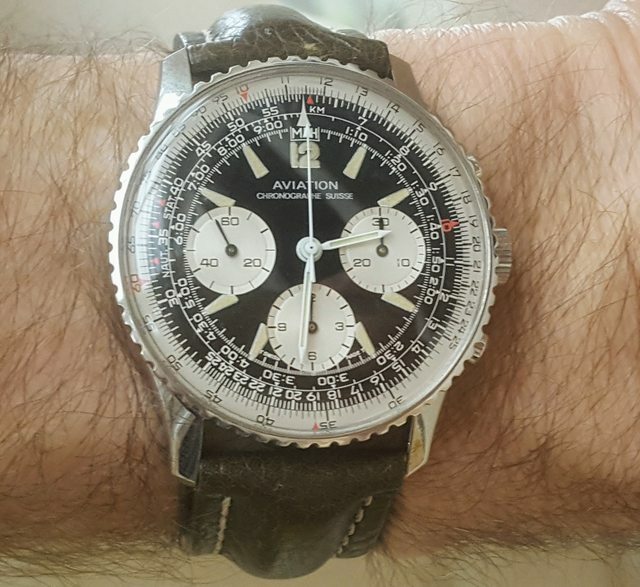 I love Navitimers, one of the great chronographs and relatively rare to see. This is about as good an example of the Navi. Beautiful. A great watch and a great post!! Amazing example, and to have had it that long, fair play! Up there with Ed White's for me. I've got 2, both with the larger, more attractive, larger subdials. Great to see an appreciated true icon & THE Pilots watch with a good backstory. I love my 809, but I would love an 806 to go with it. I paid more than £57 for my Cosmonaute, in fact more than £1100, but it still seems a bit of a bargain! To have owned such an iconic watch for that length of time is something i would love to have done. My own Navitimer (which i bought new) is a mere 17 years young. Brilliant watch and looks really classy. Id take that over any waiting list rolex ! Can I ask, is that one of the Albert Wajs (of O&W) watches ? Looks class. Last edited by learningtofly; 11th February 2019 at 23:54. Yes it's Ollech & Wajs, who bought up the parts from Breitling when they were in difficulties.